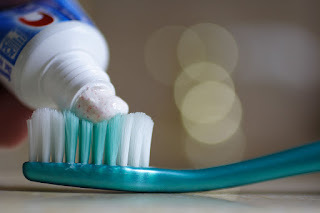 Home » treatment » Allergy Cure from Toothpaste Immunotherapy? Allergy Cure from Toothpaste Immunotherapy? An innovative company has developed a toothpaste that can potentially cure allergies in the same way that allergy shots and allergy drops do. The toothpaste is called Allerdent and is made by Allovate. The company sells the toothpaste "base" to which an allergist can mix antigens such as tree pollen, ragweed, cat, dog, etc. The allergy composition of the toothpaste can be customized to a patient's allergy test results. The antigens are absorbed through the mouth mucosa when the toothpaste is used to brush the teeth. Otherwise known as Oral Mucosal ImmunoTherapy or OMIT, this method of immunotherapy is very similar to allergy drops (SLIT) which are single drops placed under the tongue. The toothpaste base itself costs $119.95 for a 3 month supply. Additional cost is incurred by mixing in all the different antigens to the toothpaste as well as technical charges. Now, does it actually work? According to Cornell researchers, this toothpaste does seem to provide benefit equivalent to allergy drops. However, the studies performed to date are limited as well as small. More data will be required before this method of allergy treatment becomes more widely adopted. Furthermore, this method of treatment is NOT covered by insurance. Charges typically run about $400 per month. Our office does not currently offer this mode of treatment, but is actively investigating whether Allerdent may be offered at some point in the future. Oral mucosal immunotherapy using a toothpaste delivery system for the treatment of allergic rhinitis. Int J Pharm Compd. 2014 Jul-Aug;18(4):287-90.